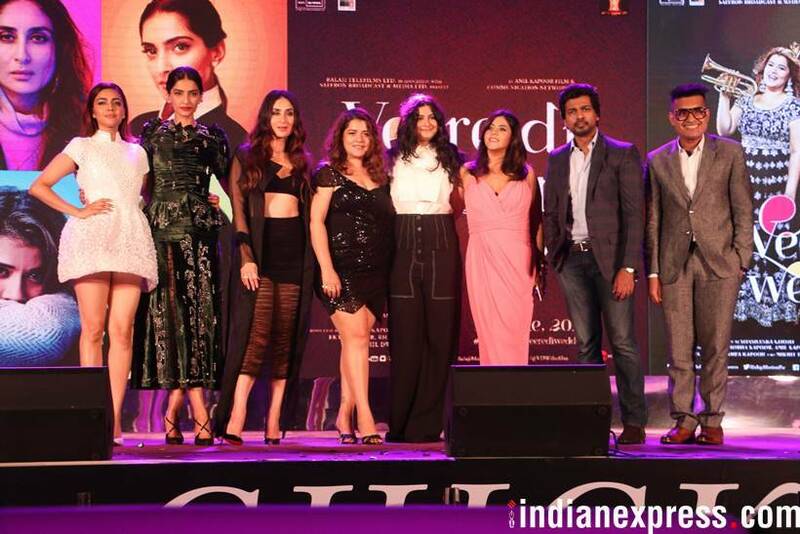 Veere Di Wedding star cast, Kareena Kapoor Khan, Swara Bhasker, Shikha Talsania and Sonam Kapoor along with producers Rhea Kapoor and Ekta Kapoor came together for the audio launch of their upcoming film, which is all set to hit the screens on June 1. 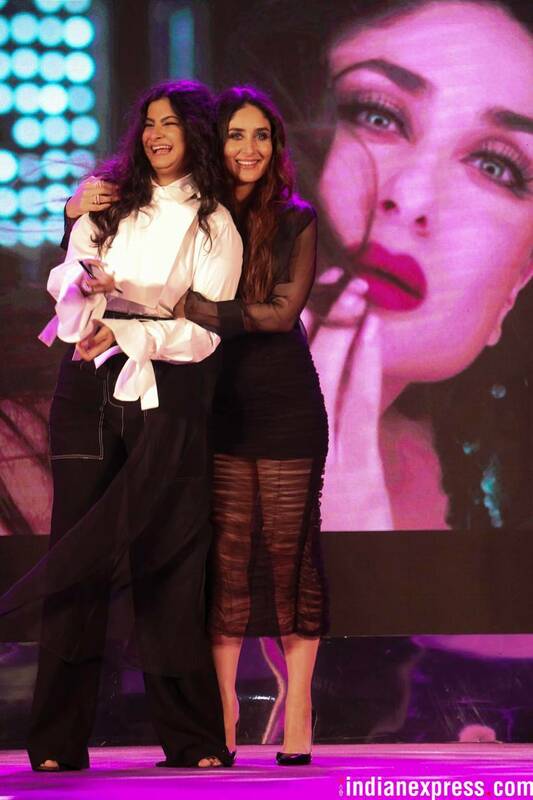 At the event, Kareena and Sonam shook a leg on the song "Tareefan" alongside Badshah. At the launch, Kareena Kapoor Khan said, “I believe in equality. I won’t say I am a feminist." She added, “I would say I am a woman. Above all, I am a human being. But I would say I am as much proud to be known as Saif Ali Khan’s wife as I am to be Kareena Kapoor,” as her Veere Di Wedding team gave her an applause. Earlier, Sonam had also spoken about feminism in an interview with indianexpress.com. Sonam said, as a feminist, one has to respect women’s right to choice. She said, “I am a true feminist. I believe in my choice. My husband or his family have not asked me to do anything. I have decided to do it myself. I never asked my husband to do it. He did it himself. The whole idea of feminism is to have equal opportunities and the choice to do what you want to do. So, whether I want to or do not want to change my name is my personal choice." Ekta Kapoor, expressing how proud she is of the film, said, "A generation will remember a film came that told us with absolute irreverence that its ok to BE! Be divorced b unmarried b overweight b undersexed b oversexed ! Just BE! " The event saw the presence of rapper Badshah who set the stage on fire with his "Tareefan" performance. Powerhouse performer Neha Kakkar also sang at the event.